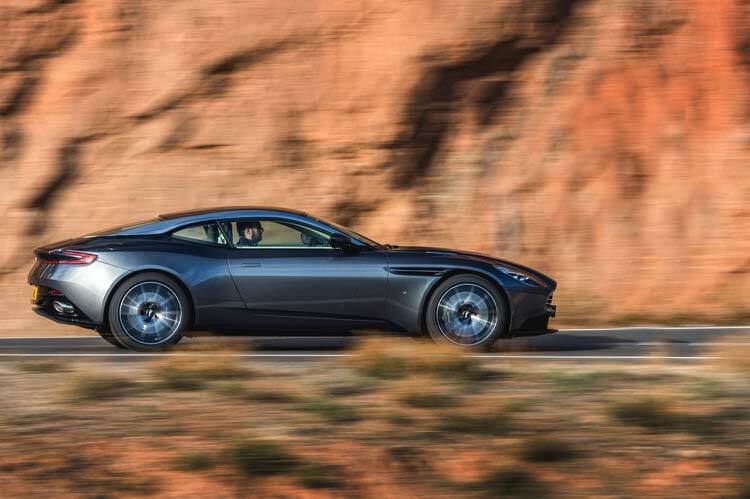 Heralding a new design era for Aston Martin, DB11 is the latest landmark in a remarkable aesthetic journey; one that gave us icons such as the DB2/4, DB5 and, most recently, the DB10 developed specifically for James Bond. DB11 re-imagines the relationship between form and function with a series of fresh design signatures. 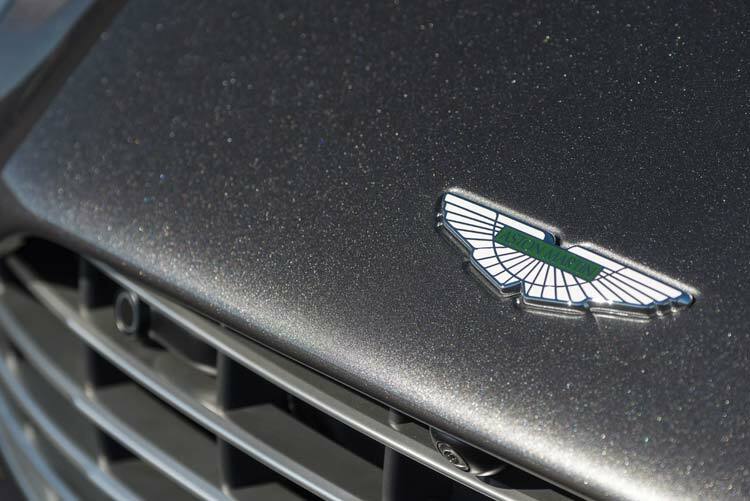 Foremost amongst these are the front-hinging clamshell bonnet, distinctive LED headlights and accentuated lines of the iconic Aston Martin grille. The profile is equally dramatic, thanks to the roof strakes that flow uninterrupted from A-pillar to C-pillar. The clean lines continue at the rear, with a sloping decklid that smoothly blends into boldly sculpted tail-lights to create a new and unmistakable graphic. 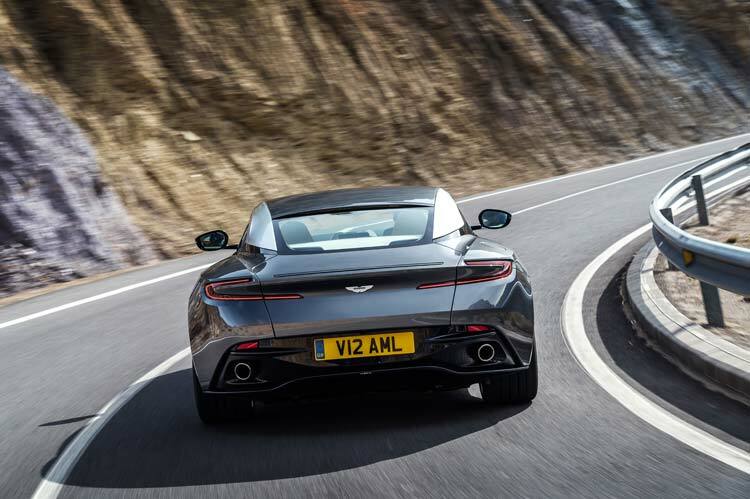 Innovative aerodynamics play their part in this aesthetic revolution with clever management of airflow both over and through the bodywork aiding stability while preserving the DB11’s uncluttered surfaces. Front-end lift is reduced by the gill-like Curlicue which releases high-pressure air from inside the wheel arch via a concealed vent within the redesigned side-strake. 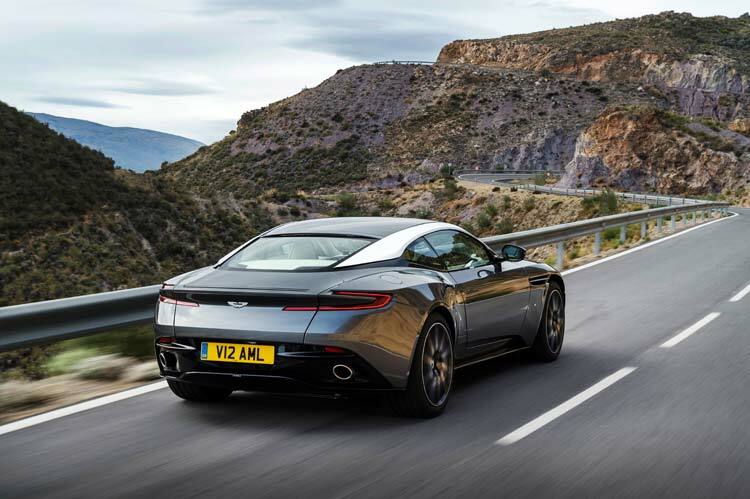 Meanwhile, rear-end lift is reduced by the Aston Martin AeroBladeTM; a virtual spoiler fed by discreet air intakes located at the base of each C-pillar. Air is ducted through the bodywork, before venting as a jet of air from the aperture in the rear decklid. 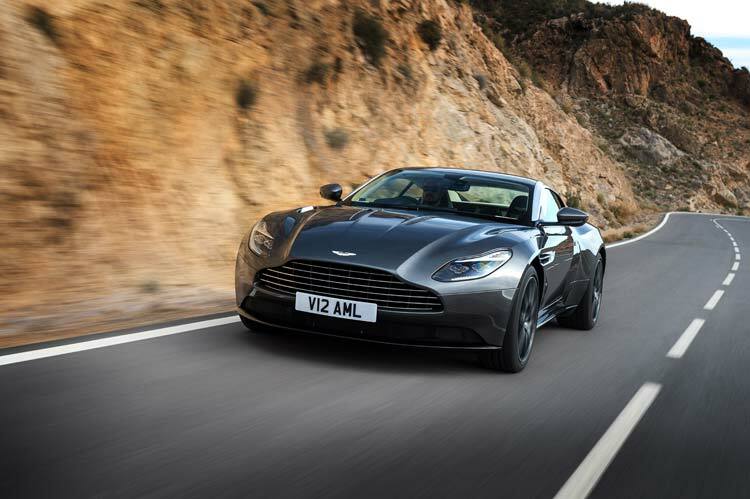 Like every Aston Martin, the heart of the DB11 is found beneath the bonnet, though unlike any Aston Martin before it, the DB11’s heart is a 5.2-litre twin-turbocharged V12. Designed in-house this new engine develops 608PS (600BHP) and 700Nm of torque, making DB11 the most powerful production DB model ever. 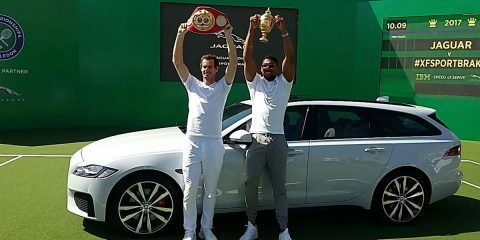 Naturally, it’s the most dynamic and most accelerative too, with a top speed of 200mph and a 0-62mph time of just 3.9sec. 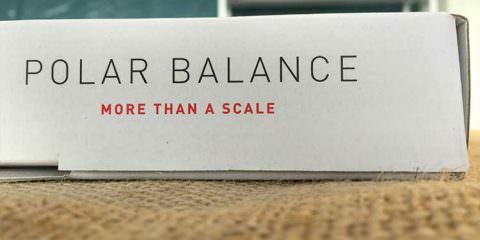 Thanks to intelligent bank activation and stop-start technology that potency is matched by greatly improved efficiency. 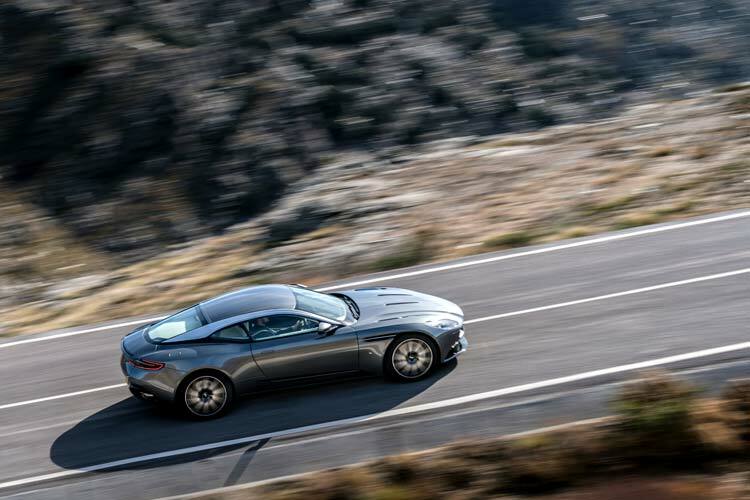 To exploit the advantages of its new body structure and harness the immense performance of the new twin-turbo V12 engine, the DB11’s chassis, suspension, steering and electronics have been re-imagined and key new technologies embraced. 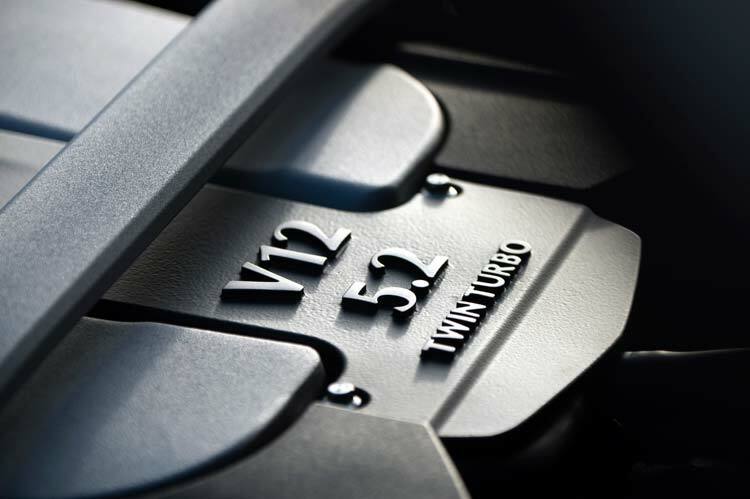 Multiple driver-selectable dynamic modes – GT, Sport and Sport Plus – progressively intensify the response of the engine, 8-speed automatic ZF transmission together with the new electric power steering and Torque Vectoring by braking while increasing the firmness of the adaptive damping for a greater sense of agility. The result is a driving experience that combines exemplary ride comfort and true sports car agility, for an extraordinary breadth of dynamic capability. 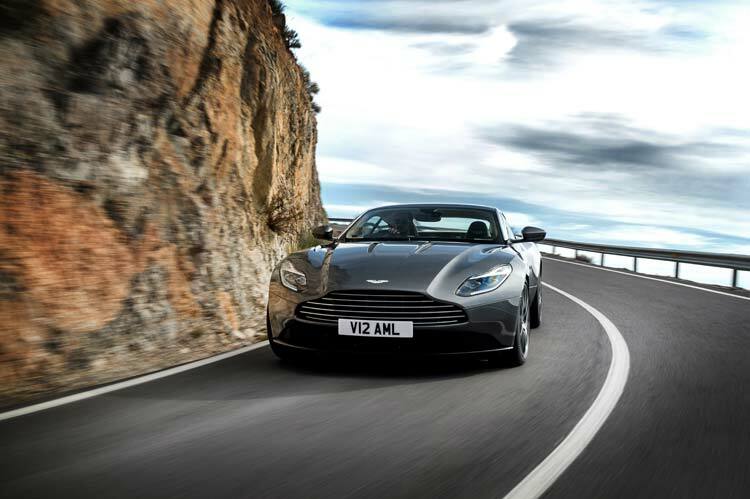 As a true 21st century Aston Martin the DB11 combines the very latest technology developed in conjunction with technical partner, Daimler AG, with the finest quality and hand craftsmanship. 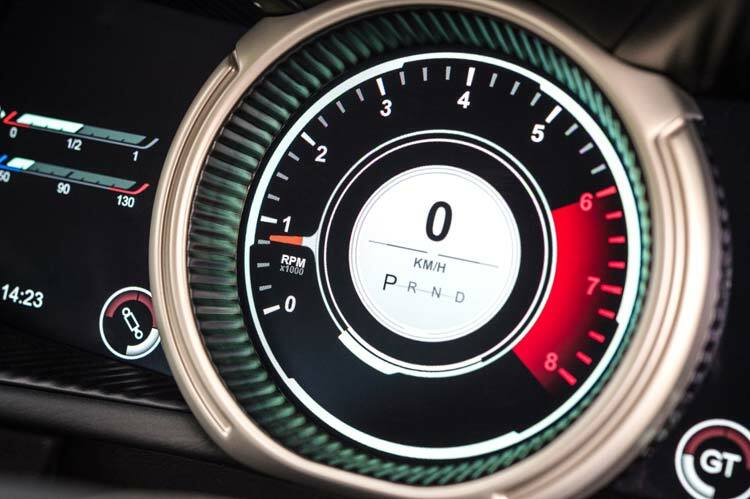 Using a full-colour 12” TFT LCD display, the all-new instrument cluster presents primary vehicle information with absolute clarity, while a second, centrally-mounted 8” TFT screen is dedicated to infotainment. Controlled via an intuitive rotary control, with an optional touchpad offering character recognition, multi-touch and gesture support, the new satellite navigation and audio system have never been more effective, sounded better or been easier to operate. 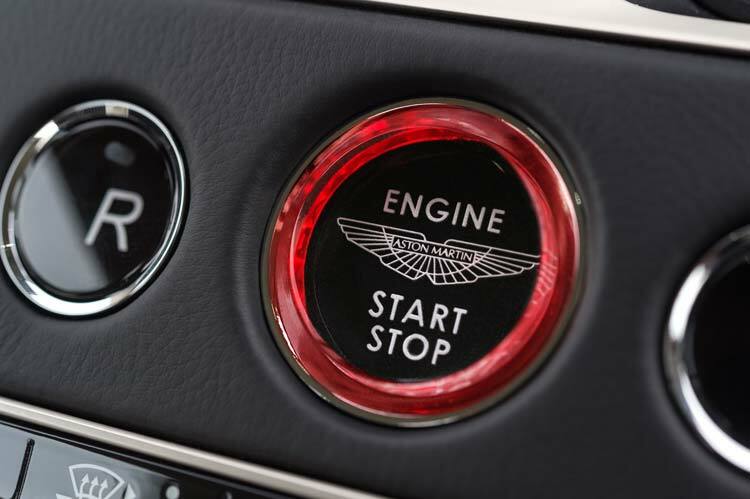 A newly implemented auto-park assist feature and 360-degree birds-eye view camera helps provide safe maneuvering at slow speeds and is also operated via the car’s infotainment system. 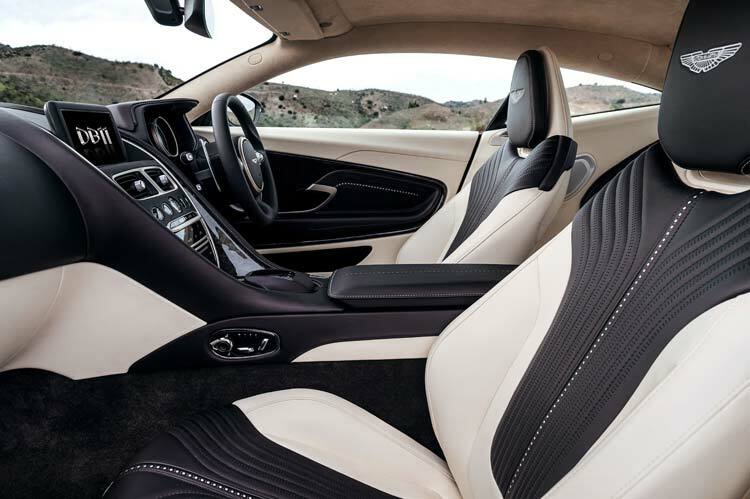 With wider door apertures, significantly increased occupant space – especially head and legroom in the rear – fully integrated rear ISOFIX mounting points for a pair of child seats plus a luggage compartment large enough to accommodate two large holdalls plus carry-on baggage, the DB11 is a genuine Grand Tourer. Thanks to an inspiring palette of colours and a vast array of detailing options, its interior can be perfectly in-tune with your unique personal style. From calming, carefully co-ordinated tones to sharp contrasts in hue and texture, your choices are virtually limitless. Nexus quilting and Celestial perforation add layers of beautiful complexity and intrigue, while ornate leatherwork, such as intricate brogue detailing, creates areas of visual and tactile delight.